Every year we put together a race scrapbook of that year's races. Although this is quite time consuming and I thought about skipping it this year, I'm glad I took the time to put one together. I know if I didn't do it I would have looked back and wondered why! Lacey had a great time at the Surfin Santa 5 Miler earlier this month but I pretty much took this month off from running with the exception of last Friday. I enjoyed a glorious run last Friday to celebrate the start of Christmas break! It was 65 degrees when I started my run and 68 by the time I finished! This past weekend I ran the Surf n Santa 5 miler race. It is a holiday race that J and A Race series puts on in Virginia Beach. The last time I ran this race was it was in the morning and the distance was TEN miles. I was looking forward to running it this year since it was a night race and you got to run along the boardwalk where all the lights are lit up. As Healthy Living Bloggers, We've both read and have written many post on great gifts for runners. However, when you are the only runner on the holiday list, those posts aren't much help, amiright? Let me preface this post by saying I KNOW that the holidays are about Faith and Family and NOT shopping! However, it is fun when you find just the perfect gift for someone on your list. That is just what what happened to me but of course this is a little story involved. The highlight of the week was most definitely our time in NYC. I'll call this the NYC half marathon part 2 because we did over 14 miles in Manhattan. All we needed was a race bib! One of my favorite home-made soups to make is Potato soup! For some reason, Scott does not like potato soup, so I usually make a batch of it for myself and my sister. Recently I made a batch of it so I could take it to work with me for lunch. Every year there is a race on Thanksgiving called Run For The Diamonds. It's a 9 mile race and according to the website has been put on every year since 1908 (it was cancelled in 1918 and 1919 due to World War 1. How about that for some history!). Anyway, Runners who place receive diamond rings and pendants for awards. I don't know if they are real diamonds or not. It’s that time of year again and the Holidays are in full swing! We hope you all had a wonderful Thanksgiving. Although a bit earlier than usual (thanks to Thanksgiving being a week early this year), I’ve already put up my indoor Christmas decorations! All three trees are up, Baylee’s stocking is hung, and there are Santas and snowmen galore! T’is the season! I did a Holiday Home tour last year showing my Christmas décor and not much has changed this year, so I don’t feel the need to show it again. If you want to check it out though, it can be found HERE. Another thing that hasn’t changed is our annual blogger Holiday Card Swap! Sunday was race day! After brunching and resting earlier, we were ready for 13.1 miles down the Las Vegas Strip! We were staying in Old Vegas off Freemont street so we had to Uber to where the start was but of course all the roads were blocked off so we got dropped off as close as he could go. We still had to walk close to a mile to the start. 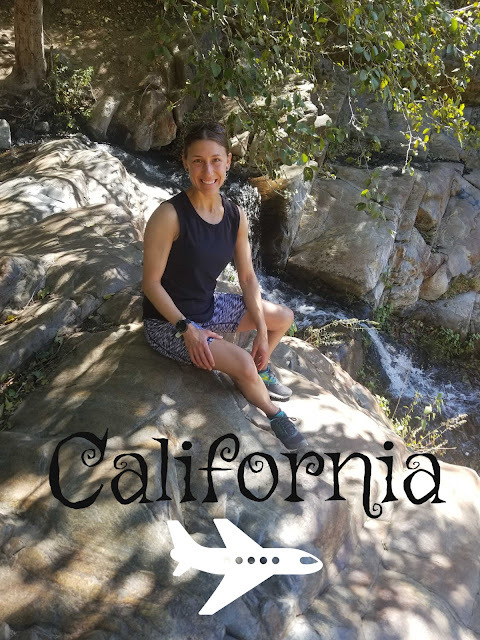 I had run this race a few years ago in the full distance(which I did not care for) so I was excited to do the half this year since it's up and back down the strip. Getting to our corrals was ridiculous! Usually at races each corral is gated off and you show someone your bib to verify your corral and then enter. Well not this one. Everyone had to enter from the last corral and maneuver their way up to their corral. When you have over 20,000 people between the half and the full this is not an easy task. I believe there were 16 corrals and I was in corral 4! I eventually made my way up to my corral before the race started. There was a 4:30 PM start for my corral. It quickly became dark around this time. Other than the lights from the streets and buildings there was barely any additional lighting. Not only was it hard to see but more of a safety issue. The streets were not paved the best and you always had to watch your footing because there were a bunch of reflectors in the road. I guess that's what they were, however they weren't giving off any light. So as I was running I kept thinking boy this strip is longer than I thought. Shouldn't we be turning around soon? I looked on the other side of the road and saw people walking. I thought if I was in corral 4 how did all these people get in front of me and are walking now? Well little did I forget that there was also a 10k race going on as well, but they started at a different location but ended at the same one. Now it makes sense! Overall it was a good race. Especially since it was over my birthday weekend! It was much better than the full I ran a few years ago. I think it is a race you could definitely put on your bucket list, especially with all the distance options. I had another pretty busy last week, staring with Vegas and ending with my birthday! I had just finished a trip shortly before I flew out to Vegas. I arrived in Vegas Friday evening and met up with a friend for dinner and drinks while waiting for my other friend to arrive. The past few times I've been to Disney on vacation (not a layover) my sister and I have wanted to take flight on the hot air balloon ride at Disney Springs called "Characters in Flight" . This is a tethered hot air balloon ride. We've tried taking this flight on three different visits and unfortunately it is always closed due to weather; rain, wind, storms, etc. 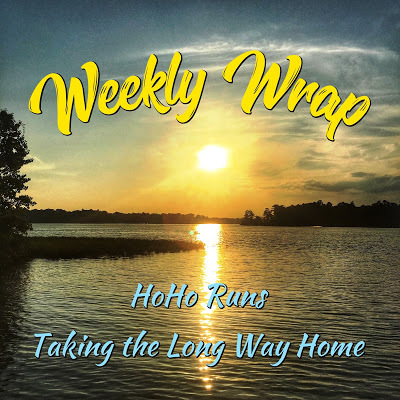 Since Lacey is preparing to run Rock n Roll Las Vegas later today, I'm going to be taking over the Weekly Wrap this week. 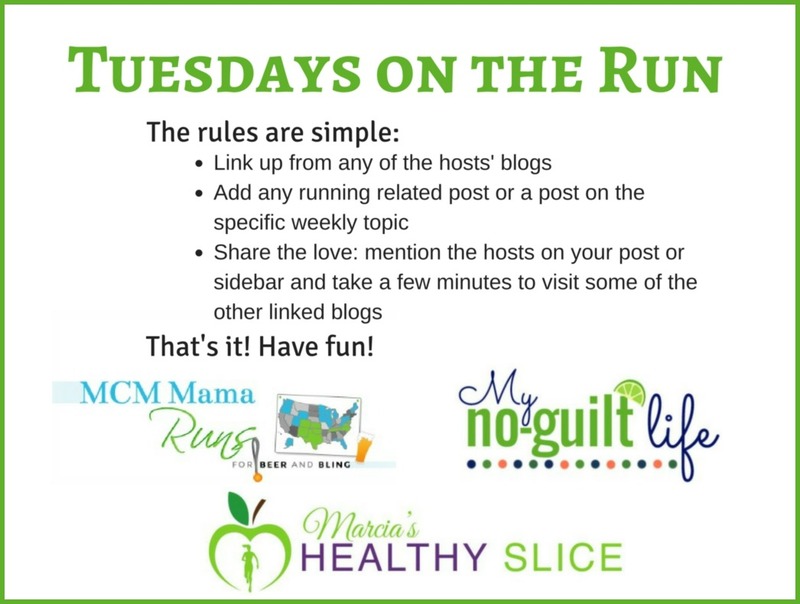 Today we are linking up with Deborah for her Meatless Monday link up. 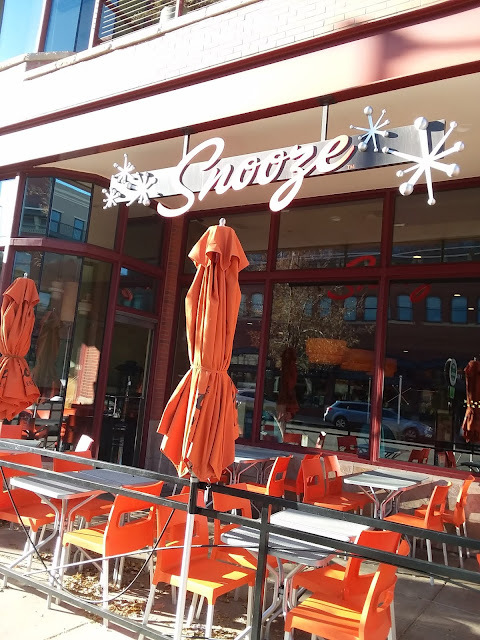 As we transition our blog (as mentioned in Friday's post), we hope to offer more food posts so please be sure to check back from time to time if you enjoy this one! This week was another busy week. After launching the new Body Pump release 107 at our gym in the beginning of the week it was back to work. Did you know that I use to be a Nutrition Teacher? 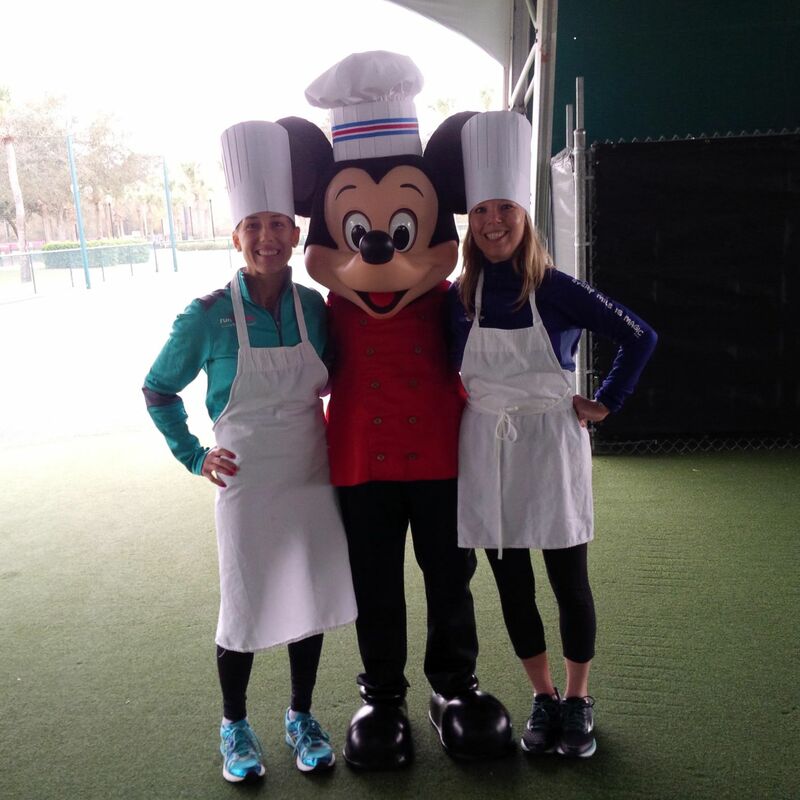 I share this fun fact because when we first started this blog many years ago, my intention was to talk about healthy living, recipes, nutrition facts ( and of course Disney races). Pretty soon the Disney races and running in general kind of took over this space. For the last 5 years, we've talked about running techniques, running recovery, running fuel, running clothes and accessories, and just training in general. It's safe to say as far as running is concerned we pretty much covered it! For this reason, we feel it is time for us to branch out a bit and become more of that Healthy Living/Lifestyle blog. For so long we tried to keep our blog strictly focused on Fitness/Running but we'd really like to write more about other aspects of our life, because aren't you tired of hearing us talk about running? We are keeping our name Fairytales and Fitness but over the next couple weeks we hope to update our blog. 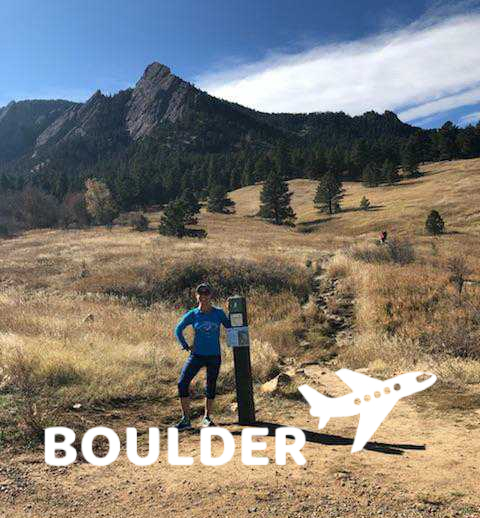 We are still going to write about running and racing (because you know I love writing a good race recap) but we hope to possibly add more posts about food, travel, fashion, and home. Our new Friday Link up is part of our change. Please be patient with us as this is the first link up we've done where we had to create an HTML code. As of right now it is only set up to drop a link ( no picture) but please do not let that deter you from linking up with us. This link up is open to all Healthy Lifestyle bloggers. Please only drop one link per blog and be sure to comment on this blog and as many others as you can. Please be sure to link back to this blog and grab our badge. We are always looking for other bloggers to connect with. Please give us suggestions on other Healthy Living bloggers or link ups we might be interested in. Last night was my gym's Body Pump Launch. A few months ago our gym changed names to the YMCA. Since then, we have had new members from other local YMCA's coming to our facility and our class sizes have increased, so we added an additional express class prior to the main class in the evening. All decked out for our spooky themed launch! 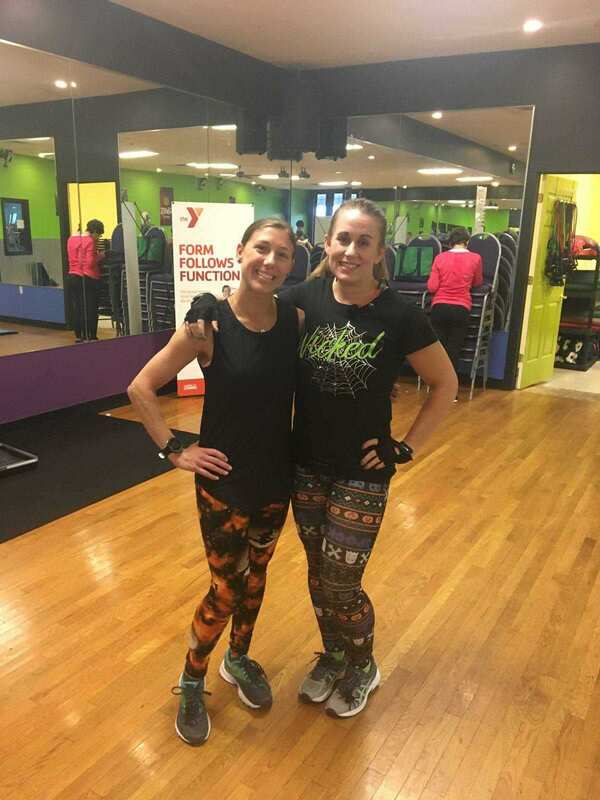 Since it is a shorter class we follow the Body Pump Express 45 minute format.I think they make it more intense, because it is a shorter class where they combine two tracks into one. There is a Tricep/Bicep track and there is a lunge/shoulder track. Rather than a doing a Tricep only track and so on. We continue to move between bar, plates, pushups, so transitions are really quick which keeps us moving and the calories burning. This week was another busy week! I actually had a similar trip that I had last week, but I had different experiences. I had a layover in Ontario, California again, but rather than going for a run. my crew and I took an Uber to North Etiwanda Preserve and hiked up the mountain to see some waterfalls. That evening I went to the mall again to do some shopping and and got another In -N -Out Burger. The following day we were in Orlando so I went to Disney Springs and did some more shopping and ate at Bongos. It is the Gloria Estefan Cuban restaurant. We ordered empanadas and plantains and they were awful! We actually sent them back. 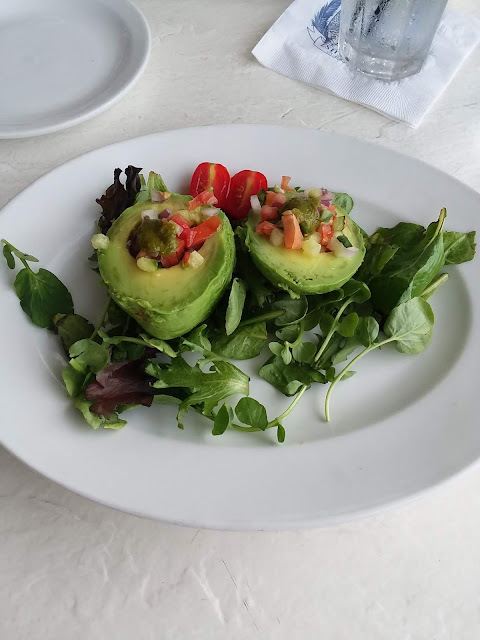 The only thing that was good was my avocado salad. 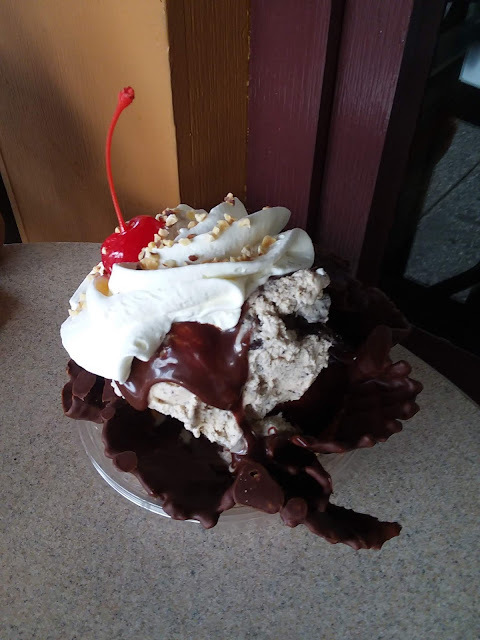 Since our dinner was a disappointment we though we would splurge on dessert and treat ourselves to a Ghirardelli brownie sundae! The next evening I visited another Haunted House in the Philly area. It was the Bates Motel. I actually think I liked this one better than the Penitentiary. 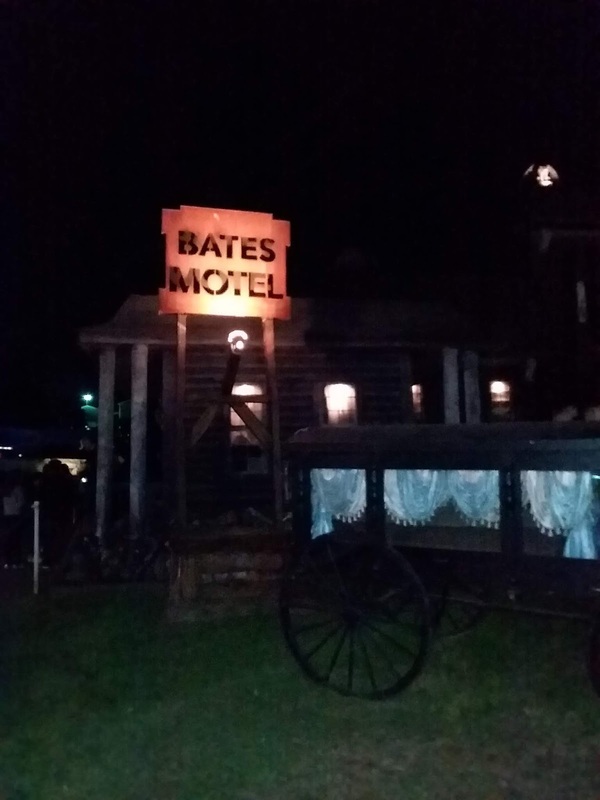 There were several attractions there including a Haunted house, hayride, and corn maze. The next evening I finally went and saw the new Halloween movie. It was pretty good. The next morning it was back to work again. I only had to do a day trip so it wasn't too bad. When I returned home I went for a short run and almost got attacked by a dog. He looked like a small miniature pinscher mix. He ran up to me in the park and continued to bark and snap at me. Why is it the little dogs seem to be the most vicious? If that was a golden retriever he would have just came up and licked you to death. The next day at work we had a layover in Denver so we decided to hike up in Boulder again.This time we hike the Flatirons. 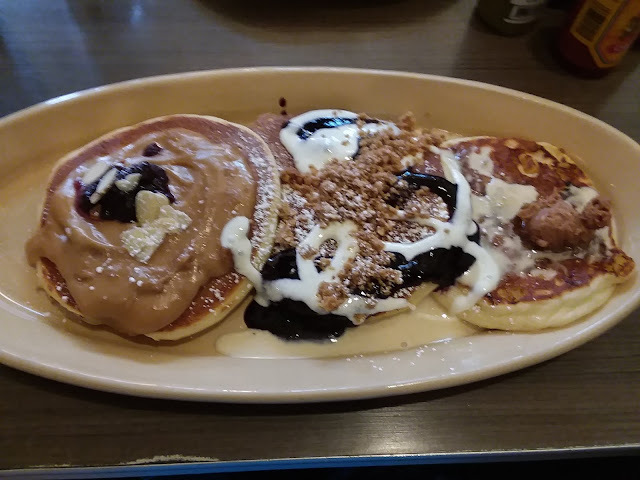 Then we splurged at Snooze for their pancake flight. Peanut butter, blueberry cobbler, and pineapple upside down cake ones. They were delicious! It's the last Friday of the month, so that means it's Runfession time. 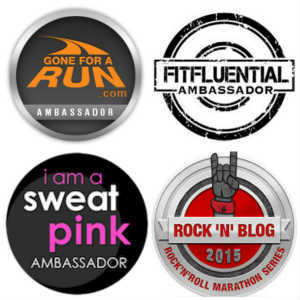 I haven't participated in a Runfession in a while, partly because I keep forgetting about them. I Runfess that I thought about putting running on hiatus for the rest of the year. It's not that I'm not enjoying running, because I am, I just wanted to use my time in other ways. That feeling of putting running on hiatus quickly faded during Monday's run! I Runfess that this was the best run I've had in a while. So much so that I set out for my normal 3 miles and ended up running 4, and then running 5! I think this was my first real FALL run and it felt amazing. I'm hoping that I can get several more runs in like this one before the weather changes again. I Runfess that I had several "road blocks" on my trail run the other day but that did not deter me. I also Runfess that I did a lot of jumping over said road blocks and I think that is when I lost my pepper spray. I did not notice that I was missing my pepper spray until I finished my run and was back at my car. After already running 5 miles, I was ready to go home and figured I would return the next day to retrace my steps. I Runfess over the years I've lost a few things on my runs; my headband, my phone, and I'm sure a few other things. Fortunately I've always found what I've lost. Because of the bumpiness of where I was running, I thought for sure I knew where I would find the pepper spray. I did the 1.5 mile loop where I thought it was but it wasn't there. I could have retraced all 5 miles but the rest of my route was pretty flat and so I doubt it fell out there. Someone probably found it on the trail and picked it up. I Runfess I've had the pepper spray for several years now and I feel like I read on someone's blog that it should be replaced often because it loses it's effectiveness over time. Is that true? Rachel mentioned that this will be her last week co-hosting the Friday link up, but Lacey and I will be keeping the link- up open for anyone who wants to continue to link up and connect with other bloggers. As of right now we are keeping it "non-themed" but we ask that you keep it a reasonable length so readers have enough time to get through multiple posts. Also we ask that if you have linked up a previous post with multiple link -ups during the week that you do not link it up once again for the Friday link up because chances are it was already read by our group of bloggers. Give your readers a new post to look forward to! We hope to see you next week! Be sure to comment on your host's blog and as many others as you can. Every year I do some sort of Halloween theme race. This year, I registered my mom and I for a new race called the Spooky Bluff 5K that is a few towns north of where I live. I registered us back in July and was looking forward to creating costumes for this race but for almost 4 months I didn't bother to come up with anything. I am ashamed to say that the night before the race, I put this together I really only needed a tank top, but the long sleeve shirt was the only orange top I had. Yes, I was way too hot. When I originally signed up for the race back in July, it said the start time was at 7:00 pm. I got back on the race website on Friday night ( the night before the race) to look up the directions to the park and thank goodness I did because I noticed they posted a NEW start time. The new start time was now 6:30 pm! I thought that would work out just fine because I had a party to go to afterwards anyway. The race took place at a really pretty recreational park. It was well manicured. It had some pavilions, a playground, several walking paths, and a disc golf course. It sort of reminded me of the park on the island I usually run on. Side Note: There was only one arch, (as seen behind us), it said "Finish" and it was where we started and finished. I figured that would be the case, however there was a couple there that were searching for the "start" line! There were a lot of people at this race. It was a family fun run so there were a lot of parents and children too. Most were dressed up. There were so many runners still waiting to pick up their packet at 6:30, that the race did not start on time. The announcer did come on the speaker and say we would start in just a few minutes. We all lined up at the start and after a few minutes (without any notice) runners just started running. There was no gun, no buzzer, no bell, noone even said GO. For this reason I didn't have my Garmin ready, so I just ran without it. This may be the first race that I didn't record with my Garmin. I didn't really care about my time anyway as this race was going to be just for fun. My mom had been sick for the last 2 weeks so she had told me ahead of time that she was probably going to run/walk and I was totally okay with that. 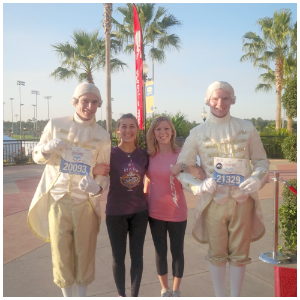 We ran the first mile in the park. As we exited the park onto the road, it got dark. As we exited the park there were some inflatables set up to greet runners (we actually saw these as we were driving into the park complex and it was a nice touch to get runners excited. I was actually surprised that there was a water stop during this 5K. I did not have to stop but I thought it was a nice touch. Besides a Disney race, I can't think of the last time I saw a water stop at a 5K and believe me, I've run some summer races where I wished they had a water stop! The rest of the race was on the road. It was completely dark, no street lights, no porch lights from the near by homes. The only light came from my RunLite Gloves, and whatever lighting devices the runners had. There were also flares that were in the middle of the road every couple yards. They had plenty of volunteers there but I thought they should have had someone near the flares because I don't think runners were fully aware they were there when they wanted to pass people. I know I wanted to pass someone at one point but I could not get around them because there was a flare on one side and I would have stepped right into it. I heard some people say that the odor from the flares was really bother them. It didn't really bother me though. I thought this race was closed to traffic but once we ran up the hill, there was an SUV that was heading towards us on the road. It was going slow, but still ! There wasn't even anyone there directing traffic. When we got to the turn around point, I wasn't even sure if it was where we turned around or not. It was just a cone. Again, no volunteer there. The rest of the race was back down the road and to the park complex (we did not have to loop the park again), and to the finish line. After crossing the finish line runners headed to the pavilion where there was lots of food and seasonal treats like pumpkin donuts, cider, and of course candy. Overall, I thought it was a good little race. There were a few things that they could improve on for next year ( like the traffic pattern). As we were leaving the race, we had to drive on the road leading out of the park and runners were still running there. I suppose this really could not be helped because there seemed to be only one way in and one way out. We of course drove slow but they should probably have a volunteer there to monitor the traffic. This was the first year for the Spooky Bluff 5K and I think the organization that put the race on really gave the runners a race worth the money. In addition to the cute Halloween themed medal, we got nice long sleeve shirts, Halloween theme bibs, and a goody bag filled with treats, and that little black bag is filled with candy. We registered back in July and I believe it was only $20. Did you have any Halloween theme races planned for October? Any Halloween Parties? 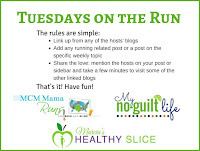 We are linking up with the gals from TOTR.